It might seem like working moms are at a disadvantage with less hours to spend with their children, spouse, or on themselves. However, I do not believe this. I believe we can maximize our mom life after a full 40 hour work week, enjoy motherhood, and not merely survive it. I want us to start living our lives with our children and not clean up after their childhood. This website is dedicated to moms who want to take back their time, spend quality time with her family, and create beautiful memories. I’m Monica. A so-called busy person that gets asked a lot: "Where do you find the time to do so much?" The answer is simple, I use my time efficiently and I find the time to do the things I really want to do! I am a professional working a full time conservative job in downtown Calgary, Alberta. My work life is built around policies, procedures, and systems. Although people say you should keep your professional and personal life separate, the systems I have learned to get things done has been integrated into my personal life, which I am thankful for. In 2007, I founded Wishahmon as a wedding and event planning company and wedding gown consignment shop. I ran this business alongside my full time job until 2017, a year after my daughter was born. My efficient and well planned life was turned slightly upside down after having my daughter. I’ve learned to adapt and use my time even more efficiently as now I have even less of it. Taking care of a child, takes up more time than originally imagined! Although I did ugly cry for a while after shutting down my wedding business, I don’t regret the decision. My daughter’s first years are too precious for me to miss out on. With my love for pretty things, DIY projects, and event planning, I have turned these passions into beautiful memories for my daughter. Through my personal stories, tips, and projects, I hope to help other moms create an easier, prettier, and efficient motherhood. I truly believe we can enjoy motherhood and not count down to nap and bed times. Born and raised in Calgary, Alberta, and have lived in the same neighborhood all my life and within three blocks. Love eating potatoes. I would rather meet over poutine than coffee. I've even considered getting a tattoo of a potato but don’t know where on my body and what type of potato. In high school, I won placed third in the province-wide ping pong competition. Not because I was that good but because only three girls entered the competition that year. Went through a phrase of trying to learn something new every year. As a result, I am a Certified Wedding Planner through the Wedding Planners Institute of Canada and have certificates in Feng Shui and Floral Design through Mount Royal University. Can-do attitude + google = belief I can DIY everything myself. Once changed the headlights on my car successfully after googling how to do it. Can't ride a bike and starting to think I should learn since my daughter is learning. Total face and beauty product junkie. Want to age gracefully but aging faster than anticipated. Think age is really a number. I've been the same age for a long time because I kinda forgot how old I was. My daughter is pretty cute. You should follow me on Instagram just to see pics of her. What’s the story behind the name - Wishahmon? 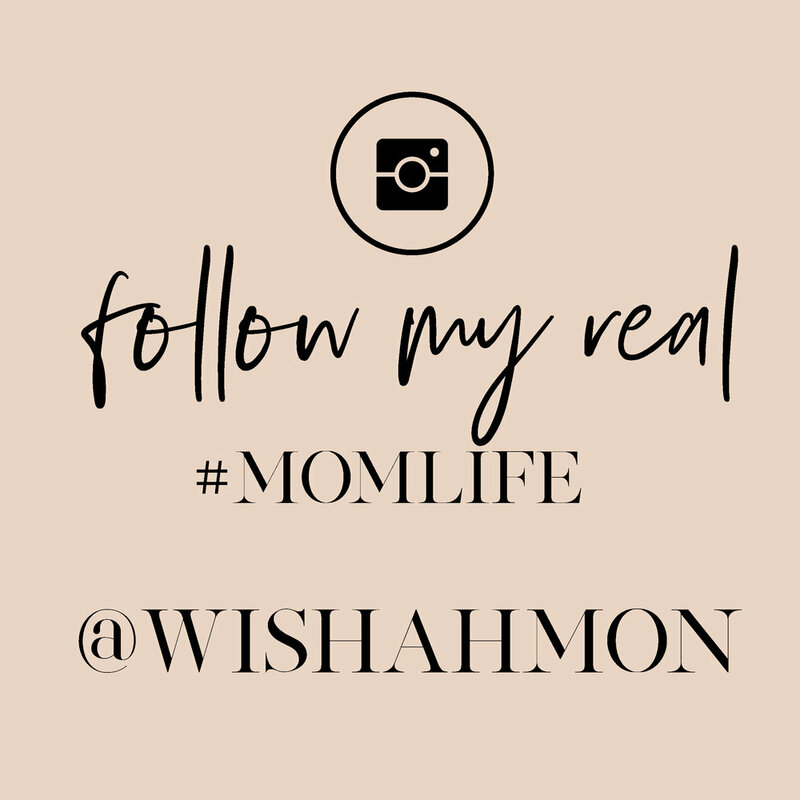 Wishahmon started when I was a wedding planner and envisioned myself making all the bride's wishes come true. It sounds like "wish upon (a star) and is a play on my nickname "Ah mon."